Check back here at our website for any last minute changes in our schedule as the hikes & events that interest you approach. April 14 (Sat) Colgate Lake and Colgate Family Homestead. Join Moe Lemire, New York State licensed guide, for a hike to explore the old Colgate Family Homestead. Walk around Colgate Lake during this easy 3 mile round trip excursion. Meet at the MTHS parking area at 9:00 a.m. and return around 1:00 p.m. This is a fundraiser event for MTHS - $10 suggested donation. April 22 (Sunday) Celebrate Earth Day with the MTHS. Explore Sloan Gorge and Snake Rocks, two Woodstock Land Conservancy Preserves. Hike with Catskill Geology Prof. Robert Titus in the picturesque hidden Sloan Gorge canyon (1.5 miles). Explore an interpreted trail of distinctive Catskill geological features. If there is enough time and interest, an optional hike to Snake Rocks Preserve (1.5 miles) will be coordinated by MTHS VP Adrienne Larys. Snake Rocks is an enchanting mountain top bluestone quarry with panoramic views of the Catskills. Meet at the MTHS Visitors’ Center at 8:30 a.m. for carpooling, or meet at the Sloan Gorge parking area at 9:30 a.m. (2195 Stoll Road). Parking is very limited at both Preserves and carpooling is encouraged. No dogs please at the WLC request for these hikes. Rating: Moderate — rough ground with a few steep sections and rock scrambles. May 5 (Sat) Campus Clean-up Day 9:00 a.m. - the Mountain Top Historical Society will emerge from its annual winter hibernation into the sunlight of another exciting season of hikes, programs, and special events. A thorough cleaning needs to be done in the Visitors' Center, in the Train Station, and around the grounds. The more volunteers we have there, the quicker the chores will be completed. Looking forward to seeing you then and throughout the summer. May 19th (Sat) Annual Spring Fling - 'Robert Selkowitz - Presentation will be in the Ulster & Delaware Railroad Station on the MTHS campus on NYS rt. 23A in Haines Falls, NY at 7:00 p.m. Car Clubs will be contacted and invited to a Cruise-In beginning at 6:00 p.m. The presentation will include the history of the 1903 run and the birth of macadam stone road building in New York State, as well as mention of the 1908 motorcycle endurance run which came up the Mountain Top. Robert Selkowitz is an artist, his book A Painter's Path through the Catskill Mountains features a series of maps showing where the 50 pastel landscapes in the book were painted. He has been active in the Catskill Region for more than 40 years. Come on over for the first presentation of the 2018 season, our Annual Spring Fling! We are requesting a $5.00 per person donation for the talk. The money we collect goes to Building and Grounds maintenance. Thanks to Rick and Patti Brooks and Bert Winne who led our successful hike to Tory Fort. Rick led the 1976 crew who surveyed the location Bert drew the original survey map. Both returned to the spot 42 years later. June 2 (Sat) Dedication – Justine Hommel Highway – 11:00 a.m. on the lawn of the Visitors' Center - Come join the MTHS in honoring Catskill Mountain icon Justine Hommel and celebrate the dedication of the entrance to Kaaterskill Clove, Route 23A as the Justine L. Hommel Memorial Highway. With the sponsorship and great efforts of Assemblyman Peter Lopez and Senator George Amedore, the New York State Assembly and Senate passed bills that officially memorialize Justine’s contributions to New York State and Greene County history. The "Justine L. Hommel Memorial Highway" will be a constant reminder of Ms. Hommel's remarkable contributions to the mountaintop region of Greene County and her life-long dedication to enhancing and preserving the natural splendor of the Catskill Mountains landscape. 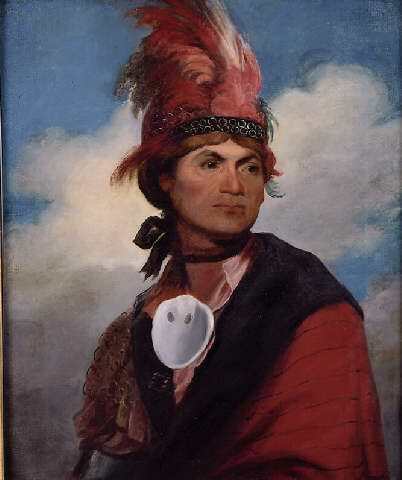 June 22 (Fri) Bill Horne Presentation - The Improbable Community – 7:00 p.m. in the Ulster & Delaware Train Station. In 1939, a group of idealists inspired by the spirit of New Deal reform put their vision of American democracy into practice by creating Camp Woodland, a racially and ethnically inclusive summer camp for city kids located in the Catskill Mountains of New York. The camp’s innovative programs profoundly influenced campers for 24 summers from 1939 through 1962. Bill was a camper at Camp Woodland from 1950 through 1960. The impact of his experience at Camp Woodland was one of his primary motivations for writing The Improbable Community. July 7 (Sat) Annual Meeting. The MTHS will hold its Annual Meeting at 10:00 a.m. at the Train Station. All members of the MTHS are invited to attend. July 13 (Fri) Hotel Kaaterskill: an Illustrated Presentation by George Harding and Bob Gildersleeve – 7:00 pm in the Ulster & Delaware Train Station. George Harding, great-great grandson of the original owner of the Hotel Kaaterskill has generously donated approximately 50 photographs of the Hotel Kaaterskill, its grounds and out-buildings. The photos were apparently taken in preparation for the sale of the property. George and Bob have been making a careful study of the photos which include interior views of the billiard room, bowling alley, kitchen, theater, a guest room and other surprises. Included is the only photo we’ve ever seen of the wood frame hotel laundry. Further details to be announced. July 14 (Sat) Hike to Hotel Kaaterskill Site – 9:00 am – mid afternoon. 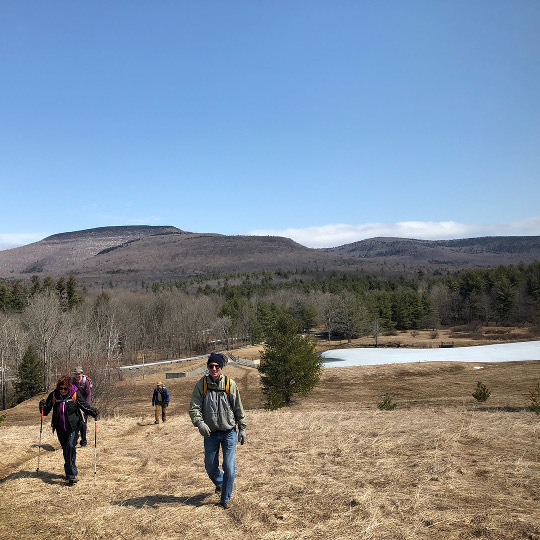 In connection with the presentation on July 13, join George Harding, Art Fries and Paul LaPierre on a two-part hike and exploration of the grounds of the Hotel Kaaterskill and its Laundry. There are still some open questions that we will try to resolve. Exactly where did the laundry building stand? How many people did it employ? What was the function of the extant stone building sometimes referred to as the Wash House? The morning session will concentrate on the Laundry area. Immediately following the morning session we will climb the carriage road to the Hotel site where we will stop to eat (bring your lunch) and explore the grounds looking to identify the sites seen in the newly acquired photographs. The hike should be considered Easy (morning) to Moderate (afternoon or full hike). Meet 9:00 am at the Mountain Top Historical Society 5132 Route 23A Haines Falls, Kaaterskill Rail Trail parking lot. July 28 (Sat) The Justine L. Hommel 3rd Annual Memorial Lecture: Talk by Vernon Benjamin 7:00 p.m. at Twilight Park Clubhouse. Vernon is the author of "The History of the Hudson River Valley: From Wilderness to the Civil War" and "The History of the Hudson River Valley: From the Civil War to Modern Times". Aug. 4 (Sat) Wittenberg Mountain Hike – Canceled Led by New York State licensed guide Moe Lemire. See a part of the Catskill very view get to see and search for the historic "Boy Scout Cave." This 10.3 Mile Round Trip hike will meet at Woodland Valley Parking at 9am. Bring a bagged lunch, water and wear appropriate hiking shoes for this difficult hike returning by 5pm. there will be a $10 fee to benefit the Mountain Top Historic Society. Aug. 25 (Sat) Rip’s Country Bazaar/Open House – The MTHS campus will be filled with tents full of vendors: craftspeople, antique dealers, local food products, flea market items and more. Music for toe-tapping and hand clapping will be provided by John Quinn and the 77th Regimental Balladeers. Food for fun and food for lunch will be available for purchase. The Visitors’ Center will be open for browsing maps, books, brochures, or checking out the Archives. The Ulster & Delaware Train Station will be open for a presentation by Jonathan Palmer from the Vedder Research Library of the Greene County Historical Society. There will be kites and bubbles for kids and wannabe kids. Wildflowers and grass for running around. Rip Van Winkle may even appear! It will be a beautiful day for chatting with friends and family, learning something new about local history, listening to music from the Civil War Era, finding treasures among the offerings of over 35 vendors. The excitement begins at 9:00 a.m. and continues all day! Come on over to the Mountain Top Historical Society’s campus on Route 23A in Haines Falls and join in the fun. Sept. 15 (Sat) 7th Annual Postcard Show & Talk - 10:00 a.m. to 3:00 p.m. @ the U&D Train Station. Talk by John Duda at 2:00 p.m. Food will be available. The MTHS will also be selling ephemera from its attic in a special sale. A $3.00 entry fee will be charged at the door. An Owl Prowl/Night Hike led by Moe Lemire. This special hike will be limited to 12 people so register early! Meet at the U & D Train Station on the MTHS campus at 7:30 p.m. Moe will give a brief talk about night hiking: safety and wonder. Depending on the size of the group and ability of the hikers there a couple of options for viewpoints as you walk along the Kaaterskill Rail Trail. Moe will lead this opportunity to listen as the forest wakes up and surrounds you with the sounds of the night. There’s hope that you’ll hear the call of an owl (no guarantee). What you need to bring: head lamp or flashlight with fresh batteries; sturdy shoes (boots or trail runners for the inevitable mud), water, snacks, a sense of adventure and wonder. The trail is relatively level and round trip mileage is about 3 miles. A $10 donation is requested.